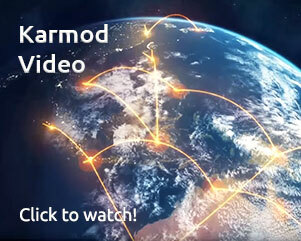 Karmod has executed many housing projects around the world including 1884 housing project established in Iraq and after it an agreement about big housing project in Libya is being finalized. First phase of the project will include 500 houses, and sample house has already been completed and installed by Karmod. Libian Minister of housing and Infrastructure Mr. Ali Hussein AlSharif visited one of our sample houses locations in Libya and got information from it. Based on that Mr. Ali Hussein Al-Sharif decided to visit Karmod's modern factory in Istanbul in order to discuss in depth more details about Karmod prefabricated houses production system. He then gave Karmod the good news of their intention to by 500 houses as a first stage. Libyan Housing and Infrastructure Minister Mr. Ali Hussein Al-Sharif prefered Karmod as a quality producer in prefabricated sector to cover the defict in housing in Libyan market. He furthermore stressed on the cultural ties between Turkey and Libya.